Since I just wasted an hour of very precious early morning time searching for (and downloading) e-pub copies of "The Front Runner" and several other books that I'll transfer to my NookColor this weekend. I wanted to share my early mornings in spring/summer with all of you. On my way to work in the mornings, and on my way back home in the afternoon, I pass two small lakes a short way from the busy highway that I drive daily. The waters last night were glazed, undisturbed by shimmers or waves. The trees and grasses reflected in deep olive greens, the sky, a light blue, deepened behind the green. Often the water is enjoyed by small families of ducks or my egrets. 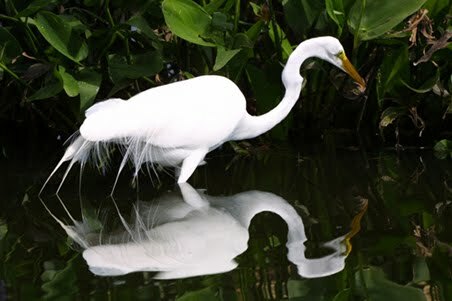 My white egrets who haunt the shorelines of these lakes and other nearby lakes, are splashes of intense brightness against the dark greens tinged with bronze highlights that the waters and grasses create. Every time I see my egrets, one or more of them, my breath stops for a short second because of their extreme beauty. They are the Isis of IsisRising, my muse on the wing. 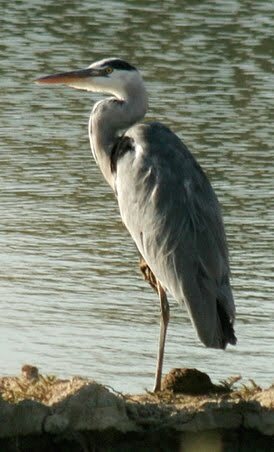 And this year my beautiful white spirits have been joined by a grey heron who haunts the shaded areas in the early morning and, rarely, in the afternoon. It's an incredible bird and I'm so pleased to see it here. With luck, it will come back again year after year just as my egrets have. So, I am sharing my muses with all of you and hope that their beauty will brighten your weekend. My heart just soars with happiness when I see them, and when they fly....oh my goodness...they are so incredibly beautiful.